Google has announced a new initiative that aims to improve the ways humans and artificial intelligence interact in both their personal and professional lives. Called the People + AI Research (PAIR) initiative, The programme will look to ensure that advances in machine learning and technical performance in areas such as speech recognition, image search and translation are better aligned with the needs of people. 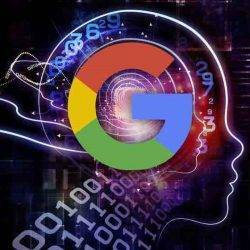 The project will bring together researchers across Google to study and redesign the ways people interact with AI systems. According to Google, the goal isn’t just to publish research but also create open source tools for experts in the field to use and completely redefine the way we think about artificial intelligence. How can AI aid and augment professionals in their work? How might it support doctors, technicians, designers, farmers, and musicians as they increasingly use AI? How might we ensure machine learning is inclusive, so everyone can benefit from breakthroughs in AI? Can design thinking open up entirely new AI applications? Can we democratise the technology behind AI? Instead of viewing AI purely as a technology, Google’s team will ask people to re-imagine it as a material to design with? For instance, advances in computer graphics meant more than better ways of drawing pictures—and that led to completely new kinds of interfaces and applications. The PAIR team will be led by Google Brain researchers Fernanda Viégas and Martin Wattenberg and its 12 full-time staff members will also work with academics, such as Harvard University professor Brendan Meade and MIT professor Hal Abelson.